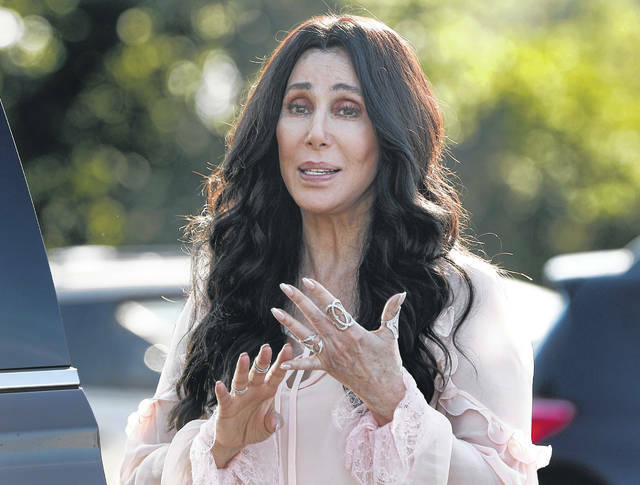 Singer and actress Cher stops to talk to media as she leaves a fundraiser Aug. 21, 2016, at the Pilgrim Monument and Provincetown Museum in Provincetown, Mass. Cher, composer Phillip Glass, country music star Reba McEntire and jazz legend Wayne Shorter have been announced as this year’s recipients of the Kennedy Center Honors awards. WASHINGTON — Cher, composer Phillip Glass, country music star Reba McEntire and jazz legend Wayne Shorter will be honored for lifetime achievements in the arts at this year’s Kennedy Center Honors. The national arts center also announced Wednesday a special award for the genre-bending musical “Hamilton,” as part of the gala set for Dec. 2. Before last year’s program, several honorees threatened a boycott if President Donald Trump attended. He and first lady Melania Trump decided to skip the event “to allow the honorees to celebrate without any political distraction,” as the White House put it. Last year, the Kennedy Center’s president, Deborah F. Rutter, publicly thanked Trump for allowing the night to focus solely on the arts and the honorees. But she also said she hoped to see the president attend in the future. “I always hope that the person in that office makes a point of showing as much support for American arts and culture as his predecessors did and as his successors will,” Rutter said in an interview. The “Hamilton” honor marks a first-time honor for a specific piece of art, and a first for a contemporary work. The award will go to the four main creators of the musical: writer and actor Lin-Manuel Miranda, director Thomas Kail, choreographer Andy Blankenbuehler and music director Alex Lacamoire.